I’m kind of tired of In re Tam also. But I have been a bit surprised that there has not been a more discussion, or as far as I can tell, hardly any, of a proposition pushed by the “amicus” brief filed by INTA, the International Trademark Association, on the en banc appeal — and how that proposition was most definitively rejected by the Federal Circuit in its December 22, 2015 opinion. That’s the question of whether a would be trademark registration, barred by Section 2(a) on the grounds of disparagement (or, perhaps, any grounds), can still find some solace — or at least a federal forum for enforcement — by making a claim under 15 U.S. § 1125(a), otherwise known as Section 43(a) of the Lanham Act, which prohibits any false designation or description regardless of whether a mark is registered. I use the scare quotes around “amicus” because with amici like this… well, in fact, I can and will say very little at this procedural moment, but will let the papers speak for themselves and invite the learned community to be heard. First, some background on the INTA part of it, which may or may not have anything to do with the court’s decision to address Section 43(a), but is a story in and of itself. INTA does not get involved as an amicus unless it is asked. After the Federal Circuit vacated its panel decision and set the case for en banc briefing on the constitutional issue, someone suggested that INTA had some interest in getting involved as an amicus. This seemed to make sense, based on logic I will explain shortly; so, utilizing the procedure set out here, we submitted this this request. The argument, in essence, was that our appeal was about nothing more or less than the right of trademark owners to register their trademarks subject to as few conditions as possible. As the premier organization advocating the rights of trademark holders, INTA, we urged, would surely support the removal of any hurdle to the registration of a trademark. 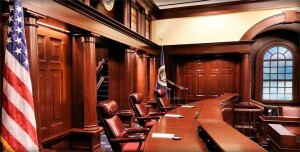 But when the date for submissions of amicus briefs in support of appellant (our client) arrived, however, while INTA did indeed submit a brief, to our surprise it stated that “INTA takes no position at this time on the constitutionality of Section 2(a) . . .” Instead, it focused entirely on the remarks in the Additional Views of the panel decision to the effect that Section 2(a) is a bar not only to federal registration of a trademark but to enforcement under 43(a). 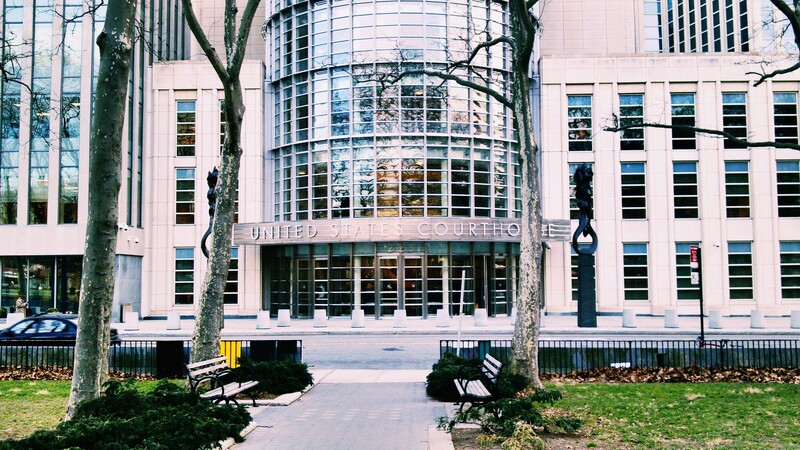 The INTA brief presented compelling arguments to the contrary. This, in fact, was an endeavor that was, in and of itself, entirely consistent with INTA’s mission on behalf of trademark owners, though not at all what The Slants had in mind when we requested its involvement, and not, really, particularly helpful to The Slants, if you think about it (more on that, but not much more, below). As it turned out, though, the able advocacy embodied in the INTA submission did not carry the day. The majority declined to adopt INTA’s suggestion, which ultimately amplified the government’s argument that because Section 43(a) was an option for enforcing disparaging marks, the disparagement provisions of Section 2(a) were not really a hindrance to Simon Tam’s ability to enforce his marks. While INTA’s argument that 43(a) should not be linked to registration was explicitly lauded in Judge Lourie’s lone dissent, the proposition was, to put it mildly, firmly rejected in Footnote 11 on page 37 of the majority opinion. Actually, it gets worse, for Section 43(a) was after the section of the opinion rejecting the government’s argument that The Slants don’t need registration because they have recourse to state registration or common law! Wrong, says the Federal Circuit. The court concludes that in states which have adopted the Model State Trademark Act, disparaging marks should be no better off than in the PTO. Even more strikingly, the majority writes, at page 35, “it is unclear whether Mr. Tam could actually enforce any common law rights to a disparaging mark,” citing mainly a number of academic arguments, including the influential piece by our own Steve Baird, “Moral Intervention in the Trademark Arena: Banning the Registration of Scandalous and Immoral Trademarks,” 83 TRADEMARK REPORTER 661 (1993). Not surprisingly, holders of disparaging marks like Mr. Tam have not argued that they lack these common law rights on account of their marks not being registrable. They have little incentive to give this argument away. Indeed. Not this or hardly anything, having clawed this far. So others will have to do the math on all this, at least, for now, for publication. Certainly, though, the issues raised by this part of the opinion seem worth thinking about. UPDATE: This issue was rendered moot by Matal v. Tam. Right?